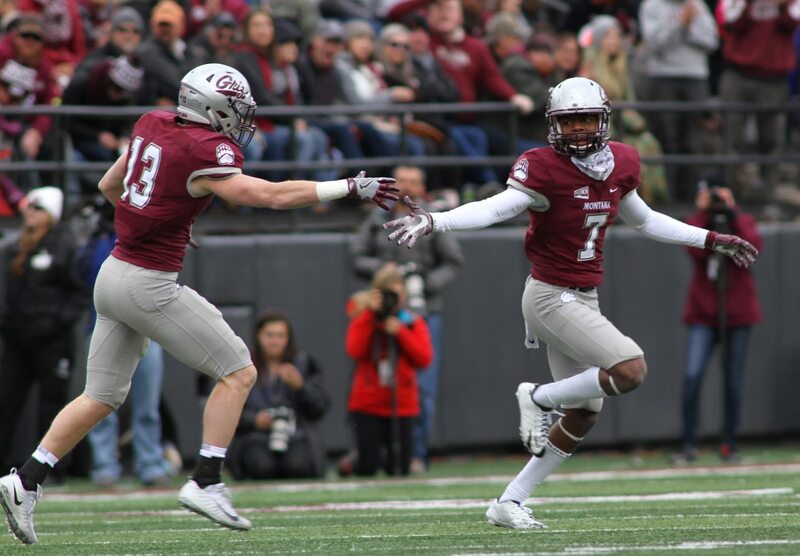 Cornerback Dareon Nash let a little smile creep across his face before rendering his verdict on Friday’s spring scrimmage for the Montana Grizzlies. Starting quarterback Dalton Sneed sat out most of the scrimmage, and the defense took advantage of the inexperience on offense, giving up two touchdowns early but getting two scores of their own later in an uneven scrimmage. As always in the spring, it was some good, some bad for the Grizzlies. Redshirt freshman running back Drew Turner, a Kalispell Glacier product, scored on a nice run in short-yardage situations, bouncing out to the right side on a fourth-and-1 carry and taking it to the end zone. Sneed followed that up with a gorgeous seam to a wide-open senior Jerry Louie-McGee for a 25-yard score on his first, and last, throw of the day. He sat out the rest of the scrimmage, hanging out with the coaches behind the play and offering advice to the other quarterbacks. Junior Cam Humphrey, Sneed’s backup a year ago, and redshirt freshman Garrett Graves, a Eureka native, split most of the reps. Sophomore Wheeler Harris, a former walk-on at Alabama, earned a few drives as well. 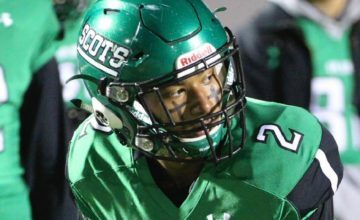 “In high school I only started like 20 games at quarterback, so it’s nice to get all the experience I can possibly get from it,” said Graves, who also got a few carries as a running back last year. 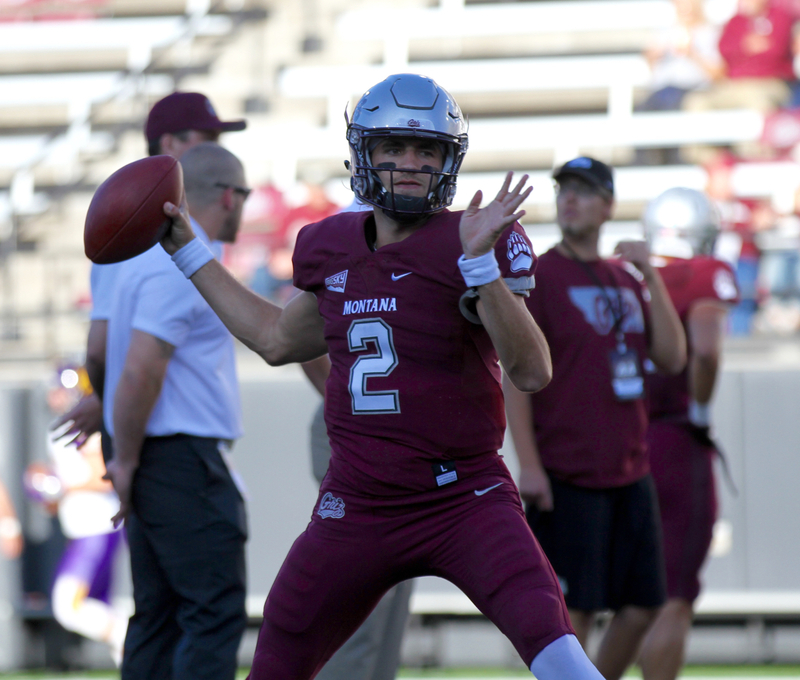 No matter who it was under center, the offense struggled — four field goals from senior Brandon Purdy were the only other points scored on offense. The defense, meanwhile, was getting the touchdowns back. Graves dropped a snap that junior Patrick O’Connell scooped and scored. On the next drive, Nash flashed off the left side to block a 50-yard field goal attempt by junior Gabe Peppenger. The ball fell right to junior Gavin Crow, who took it to the end zone. Humphrey did lead two nice drives late, leaning on junior receivers Sammy Akem and Samori Toure to set up a 27-yard kick from Purdy on the first. In two-minute drills to close the scrimmage, Humphrey took the offense inside the 5, but they settled, again, for a kick from Purdy, this one a 21-yarder. 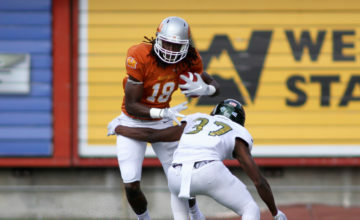 The defense regrouped to end the scrimmage on a high note. 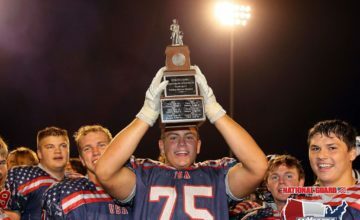 Graves scrambled into field-goal range in his late-game situation, but Kadeem Hemphill knocked down a pass and then put big hits on sophomore Gabe Sulser and sophomore Malik Flowers to force back-to-back incompletions. On the last play, Graves tried to go at Hemphill again, but the corner tipped the pass, and redshirt freshman safety Nash Fouch intercepted for the defense. The run of plays was big for Hemphill, a redshirt senior who transferred from San Jose State with his twin brother Jalen last year. 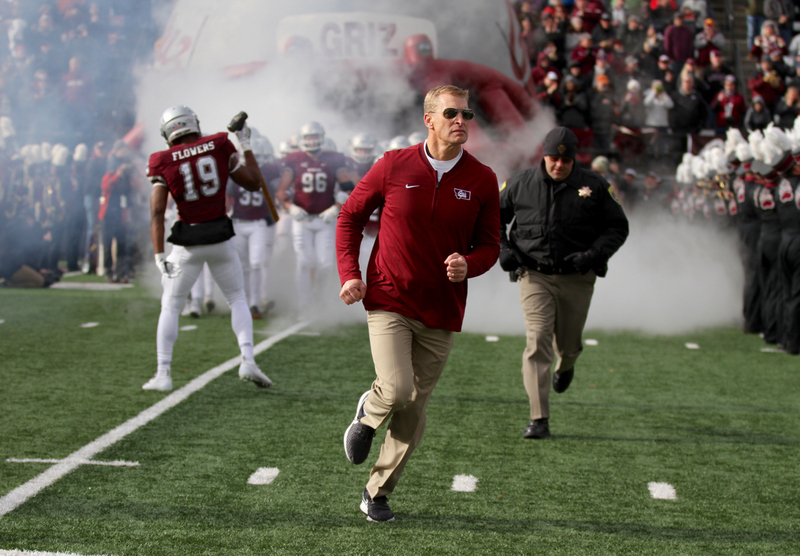 The Griz have one week of spring practice left, and they’ll go Monday, Wednesday and Thursday next week before the Spring Game, which will be Saturday, April 13 in Kalispell.